Moving to SAFe (Scaled Agile Framework) and a DevOps approach for service development speeds up continuous innovation and service improvements. 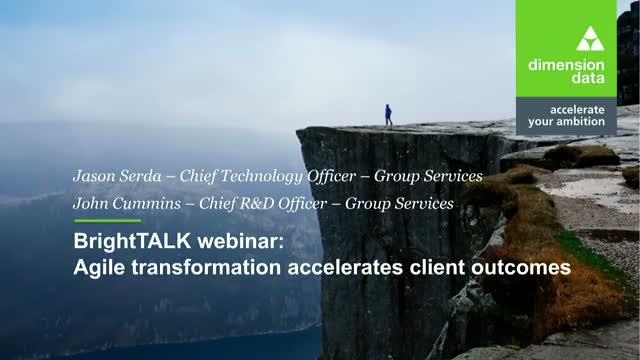 In this webinar, Dimension Data will take you through their Agile and DevOps transformation journey, the core values and requirements of Agile software development from an organisational, people and technology change management perspective. Dimension Data will demonstrate how the benefits of an Agile approach linked to a strong DevOps culture, help deliver client outcomes faster and more cost effectively.